There are serious local environmental concerns relating to unconventional gas production and there are many horror stories from the USA and elsewhere about shale gas. Whilst reassuring noises come from some quarters there remain very serious local concerns about environmental and quality of life issues. In June 2012 the Royal Society and Royal Academy of Engineering published the report Shale gas extraction in the UK: a review of hydraulic fracturing which reviews the engineering aspects of fracking for shale gas. This report is often quoted as stating that hydraulic fracturing as a means to extract shale gas can be “managed effectively in the UK as long as operational best practices are implemented and enforced through regulation”. However, that is not the end of the story. Whilst the report states that the “probability of well failure is low for a single well if it is designed, constructed and abandoned according to best practice” it fails to point out that that probability will rise when a large number of wells are considered, for example 100s or even 1000s of wells in Somerset. Further, the Royal Society’s own environmental blogger notes that the report is not exhaustive and does not examine the carbon footprint and climate change implications of shale gas extraction and use, nor does it assess the acceptability of risks to different sectors of society. Despite the headline the report’s 10 recommendations indicate that there is a long way to go to set up an adequate regulatory framework for shale gas fracking. 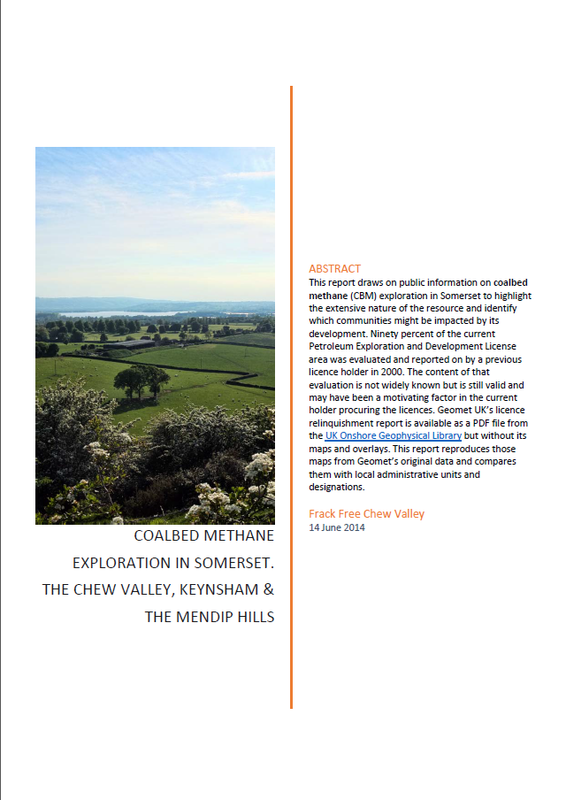 Lastly, the report makes almost no mention of coalbed methane development and extraction and the specific issues associated with it.